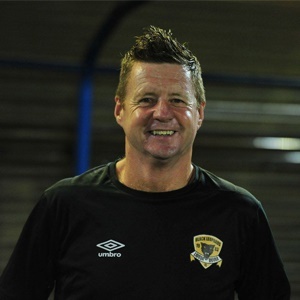 Cape Town - Black Leopards head coach Dylan Kerr has called on his squad to lift their game when they take on Orlando Pirates in the Absa Premiership on Wednesday. Lidoda Duvha were hammered 3-1 by Polokwane City last time out in the league and are sitting very uncomfortably just one point above the relegation places. They come up against an Pirates outfit that has struggled for form of late, but did move to the top of the standings with a 1-0 win over Wits in their previous encounter. "Every game is big, every game's got a different meaning," Kerr told KickOff. "In terms of attitude I'm looking for a response from the defeat on Sunday, because that was kind of hard to accept. "We are ready to go up against Pirates and we know it's gonna be tough. We've got to be professional, we got to be disciplined. We've got to make sure that when we have the ball we keep it better, we use it better especially in the final third. "I think we will get chances because Orlando Pirates are desperate for the league. "We've got to concentrate on what we do when we have the ball. We don't need to give it away as much as we did on Sunday, especially in good positions. Don't play with fear, play with our usual enjoyment and enthusiasm. Be disciplined and very respectful to the league leaders."